Volunteer for the Student-Staff Liaison Committee! Hi everyone, and to those who are joining the MSc in Digital Education this September, a huge welcome! For the last year and a half, I have had the pleasure of being the Chair of the programme’s Student-Staff Liaison Committee (SSLC). Having now completed the MSc and looking forward to Graduation in November, I am sadly stepping aside from this role. My final task is to post this message and encourage anyone who is interested in becoming involved with the Committee to get in touch with Christine. Although I sit on a number of committees and working groups as part of my day job, I’d never chaired a meeting before but found the whole experience really enjoyable, as well as providing me with a valuable professional development opportunity. The SSLC is an excellent and rewarding way of getting to know the other students and staff who are committee members and taking forward issues and ideas to enhance the programme. So, what has the SSLC been up to since it started in March of last year? Our first action was to establish the Committee’s Terms of Reference and decide on the purpose of the SSLC, how meetings would be conducted etc. So far, we’ve tended to hold one meeting per semester, taking place via either Skype or Collaborate at a time which is convenient to the majority of group members. A few technical hitches aside, the meetings have gone well… although they’ve never seemed long enough! There’s always a lot to talk about! A frequent agenda item has been the Hub, its usefulness and how student collaboration through use of the Hub could potentially be improved. This is something which is on the programme team’s (near) future agenda. Another idea that we’re keen on progressing is the development of a research journal, primarily to “showcase” dissertation work on the programme. We’ve realised that there is a lot of fantastic research being produced at the dissertation stage which we’d love to share! Other conversations have included the setting up of an alumni community, feedback on library services and ways of organising study groups / facilitating networking opportunities amongst cohorts. Early days for some of these discussions but I’ll be interested to hear how the themes develop over the coming months. In terms of commitment, for SSLC members this mainly extends to attendance at the meetings. As Chair, I had a little more to do, such as preparing the agenda for the meetings and following up on action points, but Christine and Angie (who normally takes care of the minutes) are great and very supportive. So, if you’re either starting the programme this month or returning to take another module and are considering putting your name forward for the SSLC, my advice would be to go for it! I’ve enjoyed my time as Chair immensely and would thoroughly recommend it! Author Karen TaylorPosted on September 18, 2016 September 18, 2016 Categories Uncategorized2 Comments on Volunteer for the Student-Staff Liaison Committee! The Student-Staff Liaison Committee… have your say! 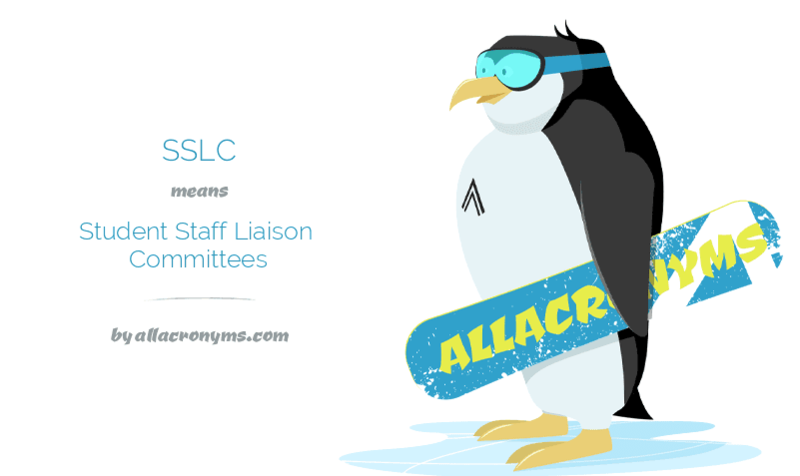 The Student-Staff Liaison Committee (SSLC) was formed around one year ago. Currently comprising six students who are at various stages of the programme, together with four members of staff, we aim to “meet” once every semester (normally via Skype) – our next meeting takes place on 24 May. The SSLC is a great forum to represent the views of the entire MSc in Digital Education student body, discuss both the programme’s strengths and areas for enhancement, and respond to any issues raised by you, the students. Our meetings so far have particularly focused on potential ideas to increase student engagement, ways we might work more with alumni and thoughts around the direction of the Hub… watch this space for further developments on all those! In September, we will be asking for volunteers to join the Committee as a number of us will be completing the programme this year. Please do think about whether you might like to get involved and don’t hesitate to drop me an e-mail should you have any questions about what this entails. In the meantime, you may have already found our section in Moodle… if not, check it out in the general MSc in Digital Education area! There, you will see a list of all members, minutes of our recent meetings and quality assurance / external examiner reports. Most importantly, there is a forum where we’d encourage you to raise any issues with us or simply tell us what you think about the programme! The forum has been really quiet to date, so please do go ahead and post. The SSLC would love to hear from you! Author Karen TaylorPosted on April 16, 2016 April 16, 2016 Categories Uncategorized1 Comment on The Student-Staff Liaison Committee… have your say!